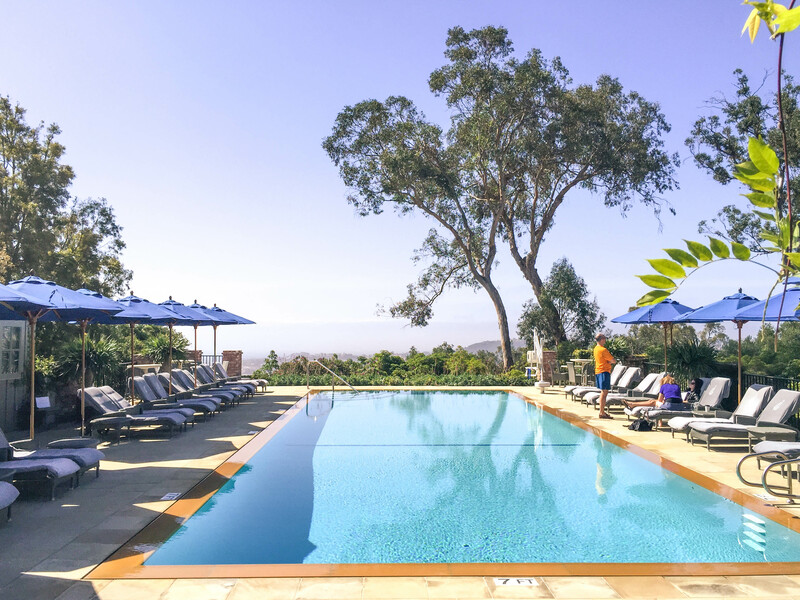 Tucked away in the hills surrounding Santa Barbara, Belmond El Encanto boasts beautiful views of the town and the ocean, while maintaining a quiet and secluded vibe that will make you forget you’re only a few minutes from downtown. 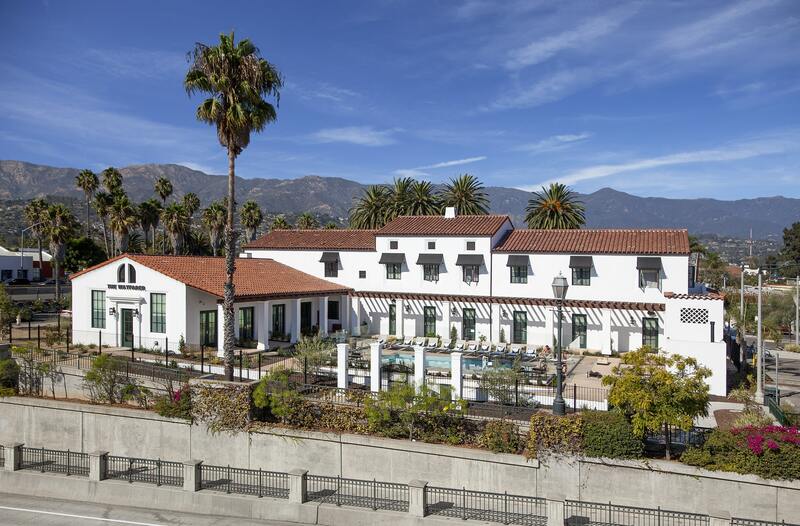 The resort sits on seven acres of beautifully landscaped gardens, and consists of a historic central building (that houses the lobby, restaurant/bar, and spa), and several craftsman-style bungalows. Hidden around the property are 5 ceramic pigs that were gifted from El Encanto’s sister resort in Mexico. Other hidden gems include a wishing well and lily pond. 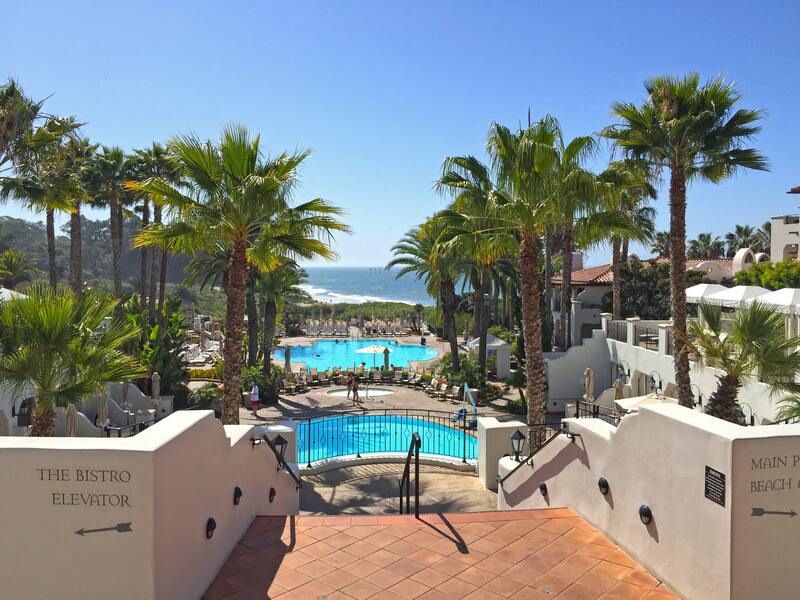 El Encanto is Santa Barbara’s only Forbes Five-Star resort, and offers the best of both resort-like amenities and boutique hotel intimacy. If you look closely, you will notice an understated butterfly theme throughout the resort’s lobby. This is reflective of El Encanto’s position on the Monarch migration path. Tip: Even if you don’t stay at the Belmond El Encanto, I highly recommend visiting the hotel restaurant for brunch on their patio. 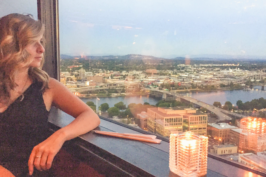 The food and service are amazing, and the views are definitely worth the visit. 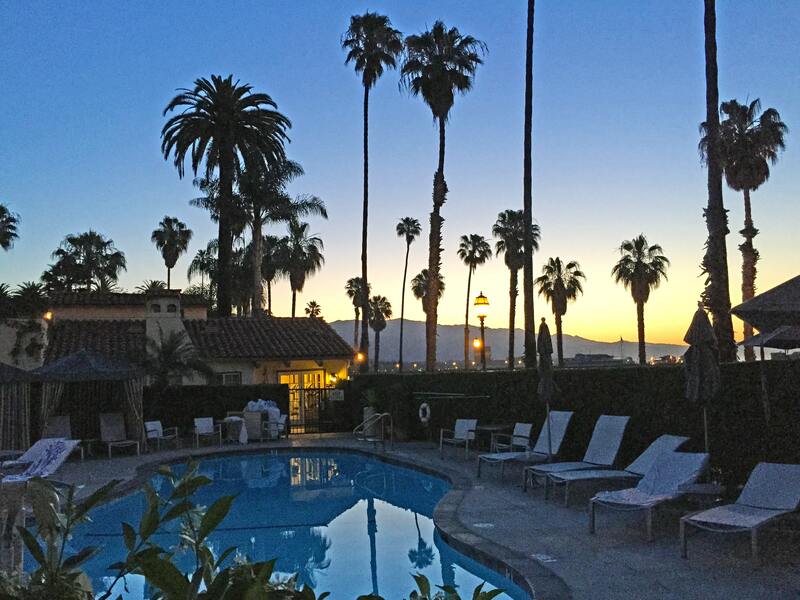 One of Santa Barbara’s most luxurious lodging options, the Four Seasons Biltmore is located south of downtown and right across the street from Butterfly Beach (one of Santa Barbara’s best beaches). 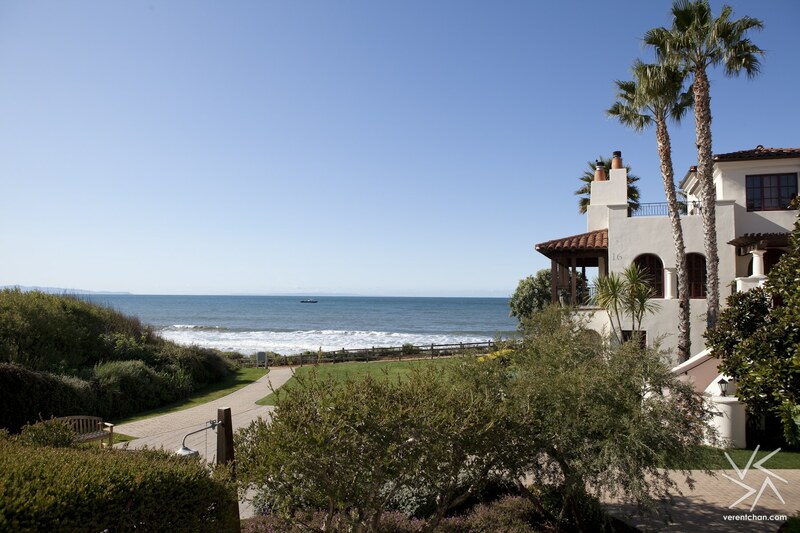 True to Santa Barbara form, the Spanish Colonial-style resort is sprawled across 22 acres of lush gardens. The gardens are fantastic, thanks to the resort’s landscape manager, Zeke (who has been there for over 30 years), and his team of 13 full-time gardeners. 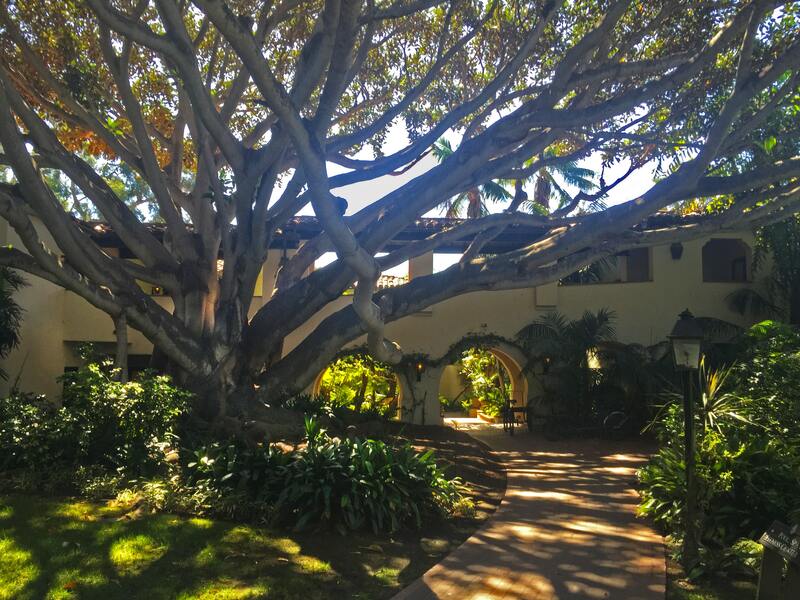 My favorite part of the garden is the huge Moreton Bay Fig tree, which is the second largest in Santa Barbara. The food served at Four Seasons Biltmore is to die for. Everything they serve is sourced within a 50-mile radius, so the cuisine is fresh and seasonal. The drool-worthy dishes are thanks to Executive Chef Alessandro Cartumini. If you want to stay like the stars, the resort’s exclusive Coral Casino Beach and Cabana Club offers guests the opportunity to relax in luxury. Boasting beautiful beach views, the 160-foot-long swimming pool overlooks the ocean, and is surrounded by 30+ private cabanas. The Coral Casino’s Coral Reef Bar (located in the Tydes Restaurant) is California’s first Coral Reef Aquarium Bar. the 275-gallon bar supports over 300 fish and a live coral environment encased in an acrylic bar top. 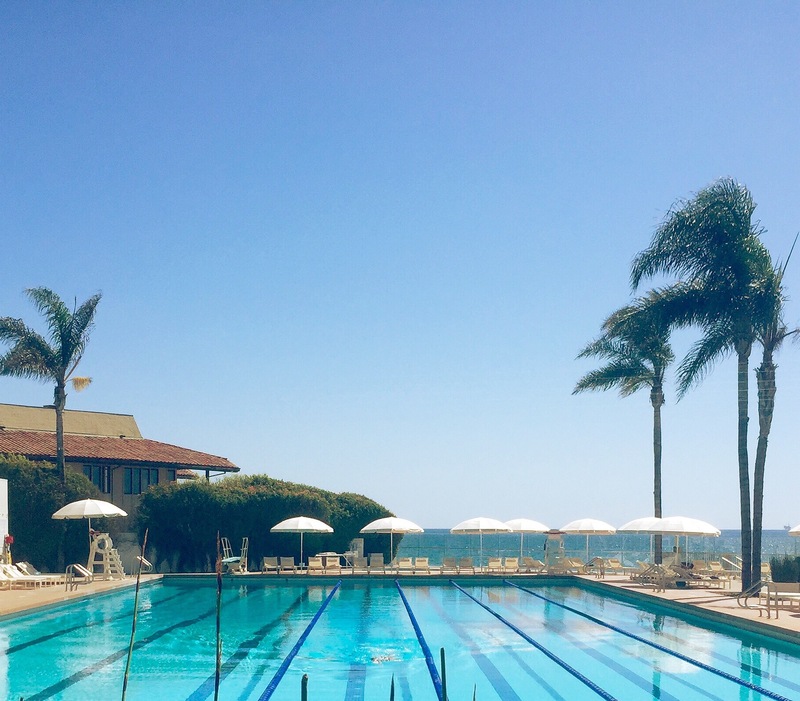 While Bacara is located about 15-20 minutes west of Santa Barbara, the beautiful resort and spa is a destination in itself. The 78-acre beach retreat overlooks the Pacific ocean and boasts three infinity pools with 26 private cabanas, as well as world-class golf, tennis, yoga, work out facilities, and two miles of natural (aka rocky) beach. The newly renovated guest rooms are larger than expected and feature private balconies or patios. While the resort is beautiful, the 42,000-square-foot luxury spa is definitely the main attraction. Featuring an array of locally inspired and European treatments, the award-winning spa includes 36 treatment rooms, a rooftop terrace, and an adults-only heated saline lap pool. Conveniently situated in downtown Santa Barbara just one block from State Street, visitors come to Canary Hotel for the location but return for the classic Kimpton style and service. The boutique hotel contains 97 guest rooms featuring old world accents such as hardwood floors, four-poster beds and juliet balconies, as well as luxe amenities such as high-end bath products and in-room yoga mats. The hotel’s restaurant, Finch & Fork, offers farm-to-table dining and creative craft cocktails. 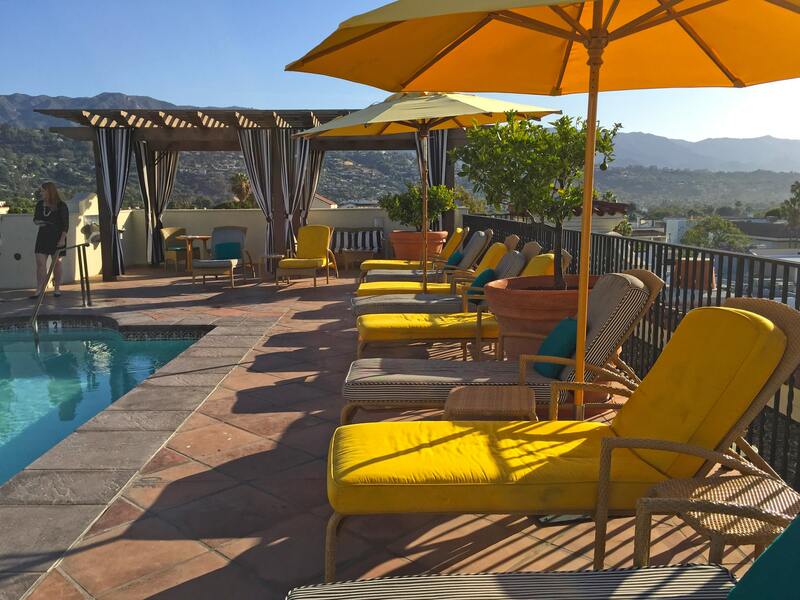 If you aren’t convinced by the above, get this: The Canary Hotel boasts Santa Barbara’s only rooftop pool. Guests can take in the gorgeous 360-degree views while relaxing poolside, or grabbing a craft cocktail from the rooftop bar and relaxing near the fire pit. 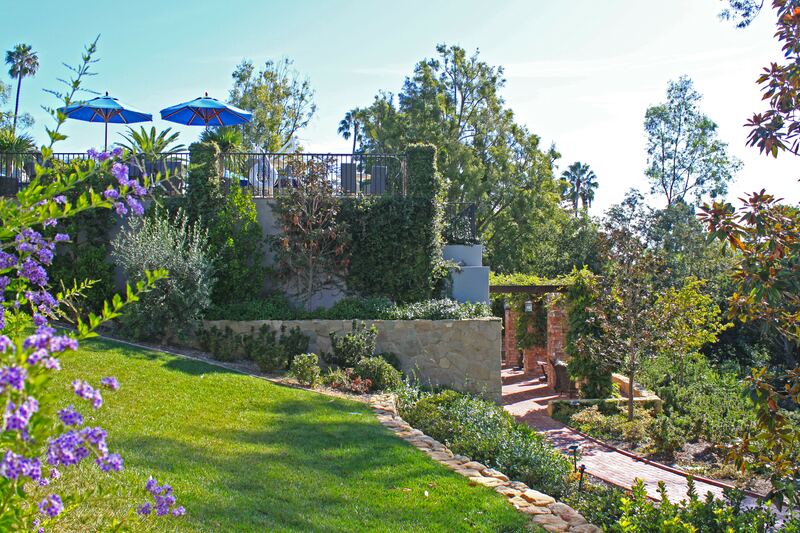 An intimate retreat in the heart of downtown, the 23-room Spanish Garden Inn is a local, boutique hotel that celebrates Santa Barbara style with its Spanish-Mediterranean decor. 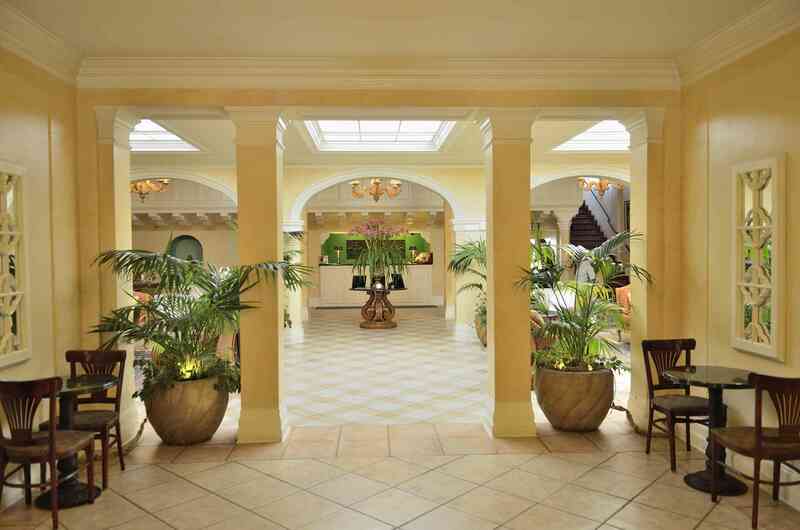 The hotel is surrounded by lush gardens and is located a half block from the Presidio. 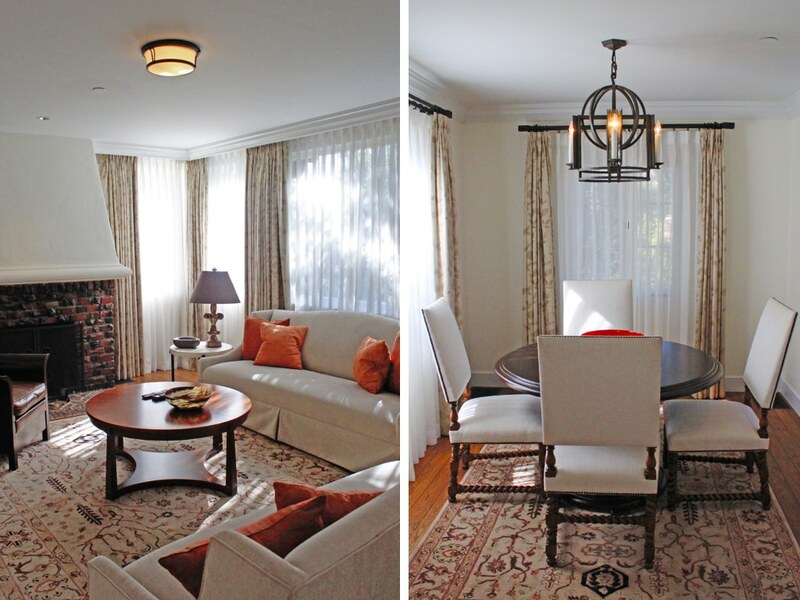 The guest rooms feature private balconies or patios, fireplaces, and deep soaking tubs. The hotel also offers complimentary breakfast and evening wine tasting, as well as free underground parking. While guests love the luxury rooms and candlelit courtyard, its the hotel’s customer service that keeps visitors coming back. The Fess Parker, A doubletree by Hilton Resort is an upscale, mission-style resort situated on 24 acres right across the street from East Beach. The property was formerly a resort opened by actor Fess Parker (who played Daniel Boone on the 1960’s TV show). The guest rooms are large and feature either mountain, garden or ocean views as well as private balconies or patios. The resort also boasts one of the largest outdoor, heated pools in the area as well as dog-friendly accommodations for those traveling with pets. While Santa Barbara doesn’t necessarily do “cheap,” this new hostel is a step in the right direction. Catering to millennial travelers, the Wayfarer is perfectly located in the heart of Santa Barbara’s Urban Wine Trail and Funk Zone (which is basically a playground for adults). The 31-room hostel is also a block from State Street, three blocks from the beach, and a stone’s throw from the Amtrak station, making it crazy convenient for anyone traveling without a car. 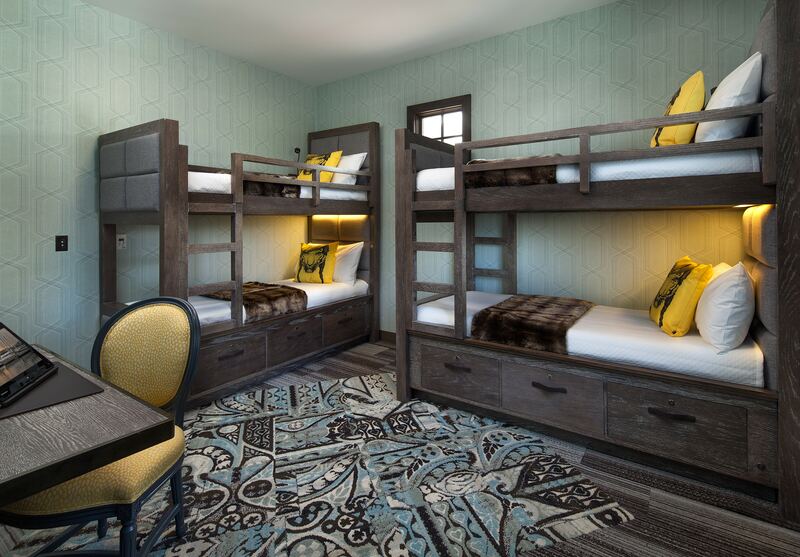 The vintage-style accommodations varies from private rooms to shared dorm rooms with bunk beds. All rooms include en suite bathrooms, free WiFI and flat screen TVs. The hostel also features a modern kitchen, complimentary breakfast, laundry facility, and heated outdoor pool. Tip: Ask for a room on facing the pool area. 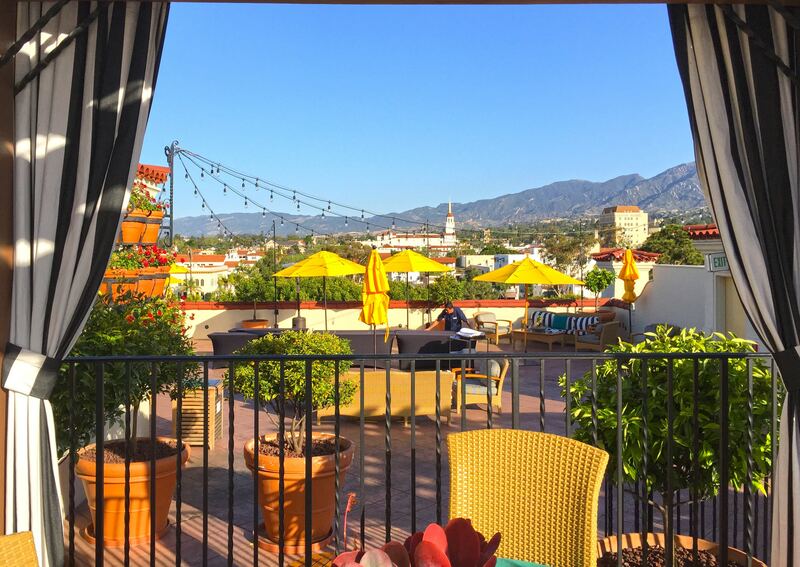 Situated on State Street, Hotel Santa Barbara boasts a prime location in the heart of downtown and close to numerous restaurants, bars and shops. Built in 1926 and renovated in 1997, the hotel offers a nice combination of historic charm (such as the gated elevator) and contemporary comforts (spacious, recently remodeled guest rooms). While some rooms face the hustle and bustle of State Street, double-paned windows make for a quiet experience, despite the often enthusiastic weekend bar crowds. Guests enjoy the complimentary breakfast, free Wi-Fi, and valet parking. 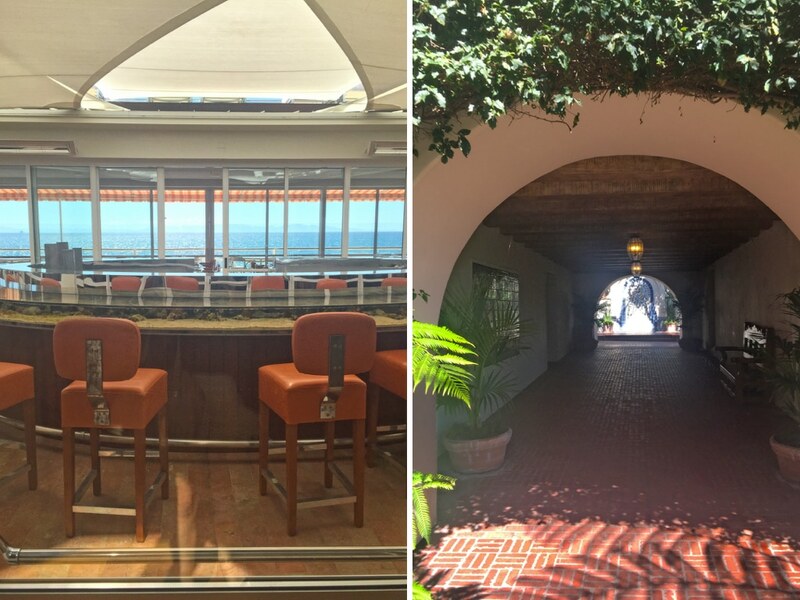 Although the hotel doesn’t have a pool, you can’t beat the location — half-mile from the beach and Sterns Wharf, plus a block from the Paseo Nuevo shopping center. Colorful beach-chic decor meets classic Spanish Colonial architecture to form Hotel Milo‘s vibrant beachfront accommodations. 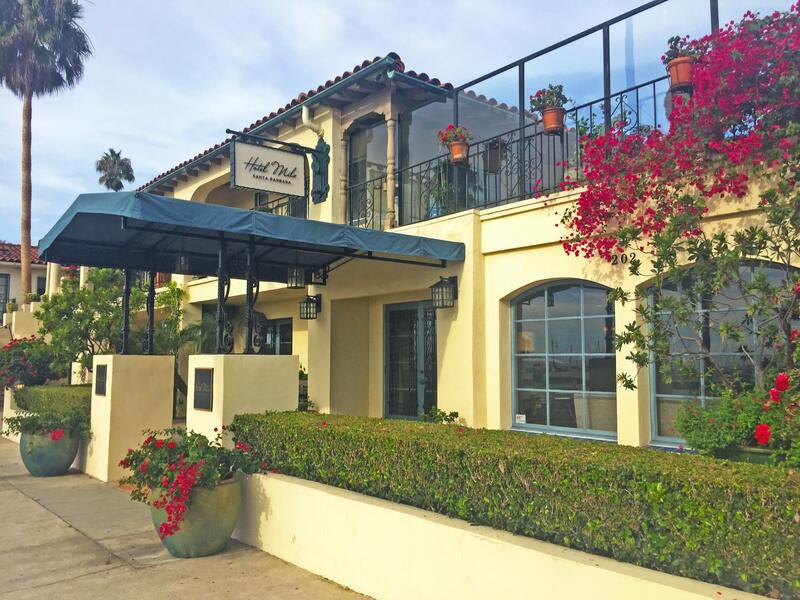 Located in the heart of Santa Barbara’s West Beach, the hotel is away from the State Street crowds and centered in between Sterns Wharf and the Santa Barbara Harbor. While the rooms are slightly dated, many boast beautiful ocean views.The hotel also features 2 outdoor pools, complimentary continental breakfast, and a beautiful courtyard with ample outdoor seating. Guests can play ping pong in the courtyard, relax poolside, or borrow a Milo beach cruiser bike and explore the area. There’s also a great valet service and free street parking. Tip: Ask for an ocean view room (bonus if it’s a corner room). What an awesome guide! My family lives in SB so I don’t ever stay in the hotels, but its SUCH an amazing place to visit. I love it so much. I love how you broke this guide down!! 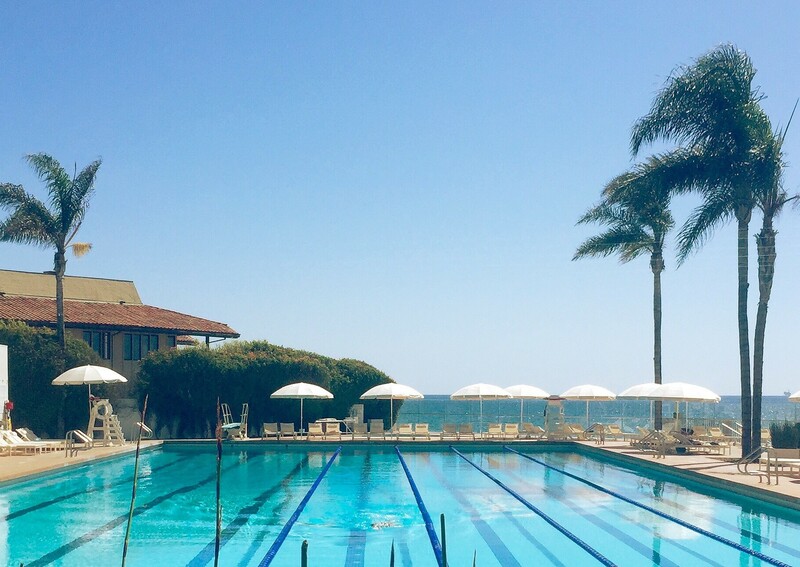 Bacara is unreal – a must visit if it is in the budget. 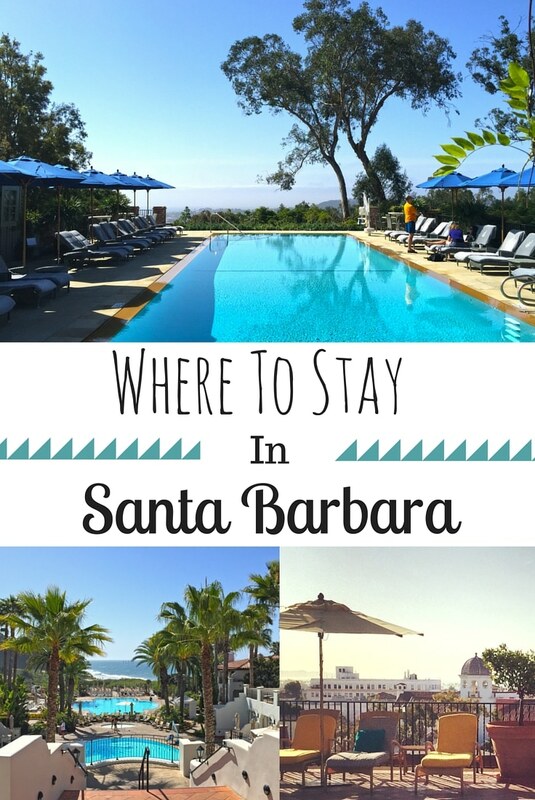 I’ve never been to Santa Barbara but it’s on my list – thanks for the roundup of places to stay to look into for that day! I really want to be in that beautiful sunshine by a poolside with a beach view now! 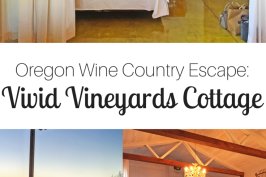 WOW – Look at all these amazing places that you have rounded up for us! Santa Barbara is definitely a place that I haven’t spent enough time in (only a day to be exact). When I go back, I’ll definitely be pulling up your guide for reference. Pinned! Love this! My girlfriends and I are trying to find a spot for a girls weekend this spring. I just suggested Santa Barbara this morning and sent them this post. Great recommendations and photos!! I’m really really craving some beach time and sunshine!!! I never stay in hotels in Santa Barbera since one of my best friends lives there, but I might have to start a new routine. Beautiful choices! Oh my gosh! The weather over here has been so yucky the past few days that this post makes me want to book a trip RIGHT NOW!! What great tips! I don’t think I’ve ever been to Santa Barbara, but I’ll tuck this away in case I ever do get there. Ohh I want to stay at every single one of them! Cali dreaming! Planning a trip to Malibu this summer and I can’t wait! I recently did the Pacific Coast Highway and wished we could have stayed longer in Santa Barbara than a quick beach stop! Great picks. Your post whet my appetite to travel to Santa Barbara, a place I have never been to. 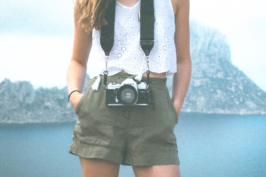 Your photos are enchanting and captivating. Couldn’t stop looking at them and dreaming. [smiles ] Love your blog though, with its clean spare look. Such a beautiful place to be. I’ve thought about visiting recently. So this guide just brings the decision to reality 🙂 Thanks for sharing. What a great list! 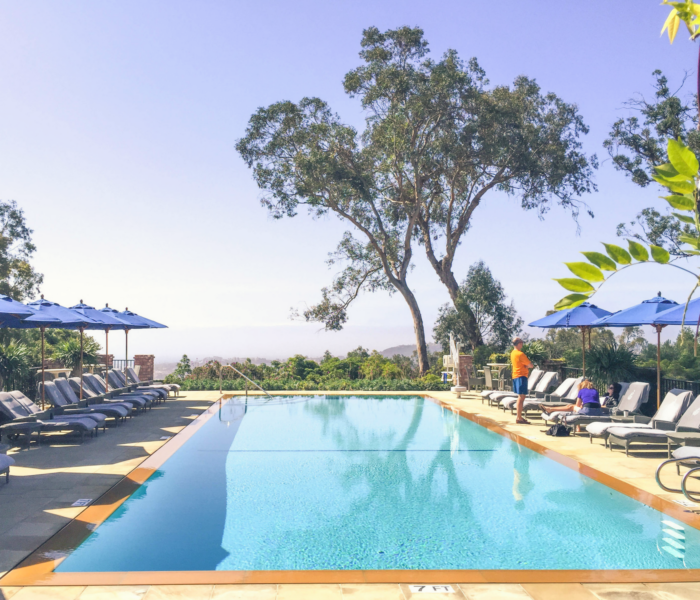 I’ve only had the pleasure of staying at Fess Parker but have heard great things about Bacara too! Pinned as well! I would not recommend Hotel Milo. I have worked at 4 hotels in Santa Barbara and I always seem to get guests coming from this hotel with a long list of complaints. I personally would recommend the Harbor View Inn, the hotel right next to the Hotel Milo if someone was looking for something right on the waterfront. Great list! Coming from a SB native, I can attest to the charm and quality of all of these hotels & resorts! However, I would not recommend Hotel Milo. I have worked at 4 hotels in Santa Barbara and I always seem to get guests coming from this hotel with a long list of complaints. I personally would recommend the Harbor View Inn, the hotel right next to the Hotel Milo if someone was looking for something right on the waterfront. Just a suggestion! What a great round up of hotels! 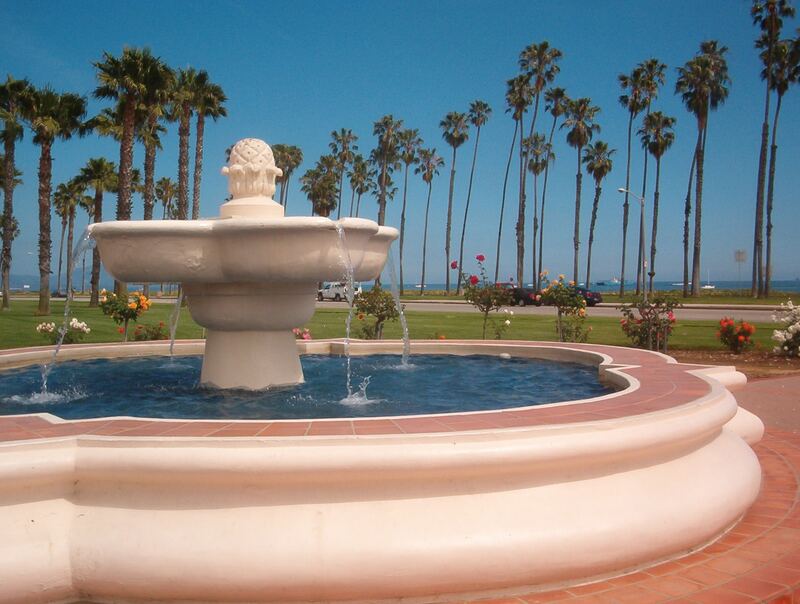 Santa Barbara is such a great place, I normally stay with friends or family, but I would love the first option, having the boutique feel and resort amenities. However, I typically stay at hipster boutique hotels and like the vibe of the Wayfarer, but the pool view at the Canary is pretty amazing too! I’ve never been to Santa Barbara but I heard it’s beautiful!! This is a great guide, and I like how you accommodated every style of traveling from luxurious to budget-friendly. I, personally, am a sucker for a rooftop pools or pools that overlook the ocean. I will def be saving this for whenever I visit. This post is travel goals!!! 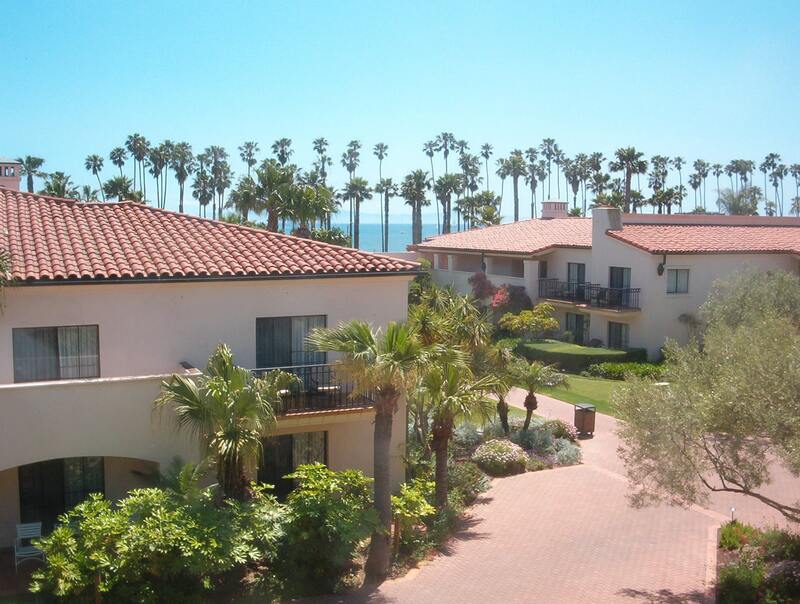 Now I’m certain I need to go to Santa Barbara and stay in one of these beautiful hotels! Thanks for sharing your thorough reviews! Definitely will make a note of this post! My brother lives in LA so I would love to go to Santa Barbara next time I’m there! Thanks for putting in the different budget options, such a good idea! Incredibly detailed article, thank you! I usually drive by Santa Barbara on my way to other places, but this makes me want to stay overnight. Thank you for breaking it down by price category. Oh my gosh, all of these places look beautiful!! Saving this post for when I visit the US next year! Oh my goodness, all of those splurge properties look amazing!! Santa Barbara looks super swanky 🙂 Even the hostel is fancy!! What a great review, one day when I make it to Santa Barbara this will come in super handy! 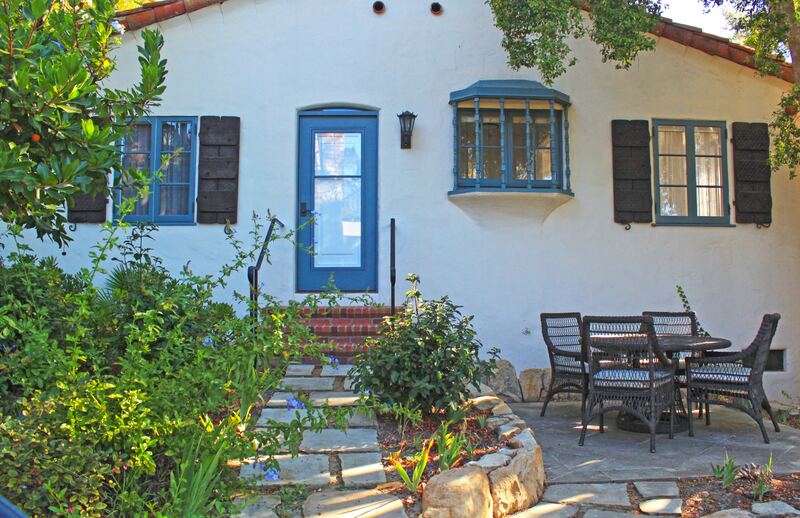 If I ever decide to spend big on accommodation in Santa Barbara I know which blog post to come back to! I like the look of The Wayfarer though. I absolutely love Santa Barbara! I need to go back to check out some of the missions around the area. The hotels all look so beautiful. What a great writeup on all of them. Maybe it’s the backpacker in me but while the Belmond on top of your (price) list looks gorgeous, I must say the Wayfarer looks most inviting and homely. I’ll bookmark it for a future visit. Even the budget places look so nice! The Wayfarer looks so cozy and definitely somewhere I’d stay, especially for the price tag. And of course you can never go wrong with a Four Seasons, and those other luxury places look fantastic as well.